Blue-Zone is a private early start-up Corporation, evolved from Union Carbide/Praxair Canada. The company’s CEO is founder and co-inventor of the core globally innovative and fully functional technology for “greening” anesthesia. 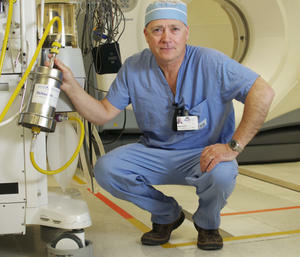 The operating expertise was originally contributed by the Department of Anesthesia, University of Toronto. Blue-Zone’s executive management team and advisory board have been instrumental in the technology commercialization to exploit the over $1.1 billion global market opportunity associated with the consumption and routine venting of unused surgical anesthetics – essential valuable hospital drugs. The technology demonstration has been financially supported by Sustainable Development Technology Canada (SDTC). Blue-Zone’s platform technology is a global solution to serious economic and environmental issues in hospitals. Our revenue model involves: 1) greenhouse gas (GHG) environmental service structured as a nominal monthly fee per operating room, and; 2) production and sale of generic drugs. 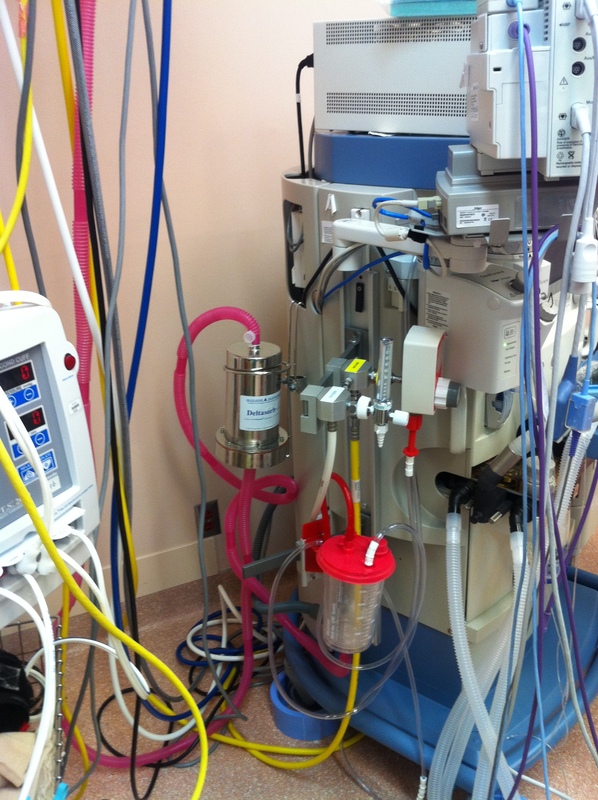 Blue-Zone is currently showcasing its “greening” anesthesia technology in 150 beta sites. The anesthetic manufacturing facility has been approved by Health Canada and FDA and the company is pursuing appropriate approvals to market and sell these anesthetics. The company’s strategy is to expand via strategic partnerships. Product/Technology: The volatile anesthetics used in the developed world are among the most expensive hospital drugs. Annually over $1.0 Billion is spent worldwide: North America (60%); Western Europe (30%); Asia and others (10%). Only less than 5% of the anesthetic administered is metabolized by patients. The rest is vented untreated into the atmosphere via the hospital’s scavenging system. These drugs are: toxic halogenated ethers; potentially lethal if inhaled in high dosage; and aggressive greenhouse gases (GHGs). For example, desflurane has over 3,700 times the impact on global warming as CO2. Once vented, anesthetics adversely impact urban air quality and contribute to climate change. A typical hospital emits the CO2 pollution equivalent of over 500 cars annually. Blue-Zone’s globally innovative Deltasorb® technology is cost effective and efficient. The volatile anesthetics are selectively captured before being expelled into the atmosphere. The GHG emission reduction is constantly monitored and reported monthly in eCO2. Blue-Zone uses the captured anesthetics as the primary raw material to produce new anesthetic that meets or exceeds current medical standards. The Deltasorb® technology provides immediate and measurable GHGs emission reduction, improves urban air quality and creates an alternate supply of anesthetics with potential long-term savings to hospitals on future purchases. Key People: Laurence (Laurie) Whitby, Vice President Operations and Mark Filipovic, Manager Operations/Marketing.